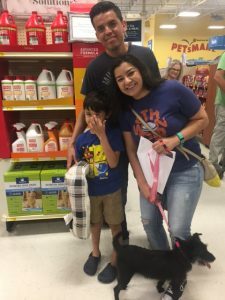 We had a great day at Petsmart! This is Maria! 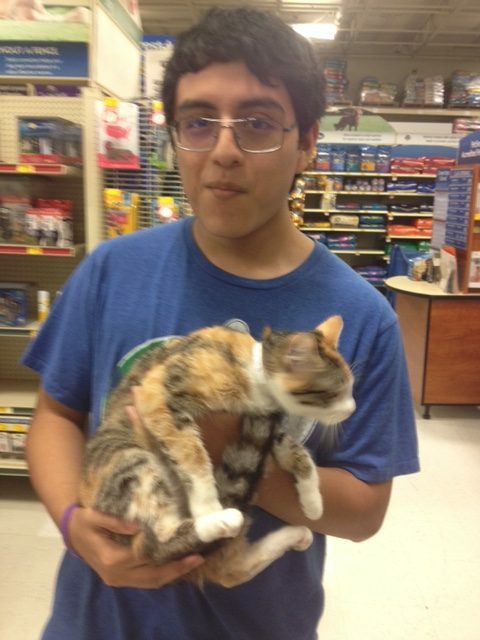 She went home with a nice family and will be the only cat! 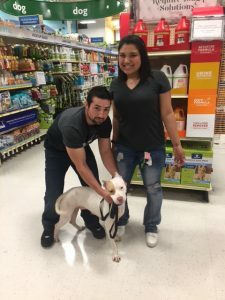 The young man holding her fell in love with her and looks forward to a long life with his new family member! This is Sassy! Her family is familiar with terriers and have a Yorkie-chi for Sassy to play with. Sassy loved their son which helped make the decision to adopt! This is Kevin. This small dog was so scared but loved to be held and he was calm. 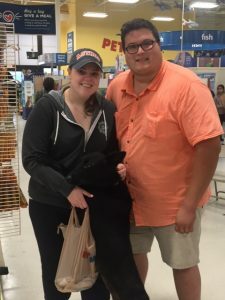 His new mom lost her dog companion last year and was ready to bring home a new family member. Kevin was renamed Honey Boy and will be pampered with his stay at home mom! This is Zena! Zena is 4 yrs old and is an exact copy of her new sister! Her new family is convinced both dogs are littermates! Personality and looks were identical so they knew it was meant to be! Such a happy family! This is Chewy! Sweet Chewy impressed this couple who have another pit mix at home. They were so taken with this alert young girl! Chewy will have an older sister to help her become the perfect dog! 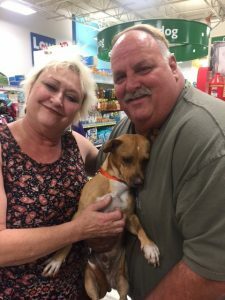 They did not plan to adopt but couldn’t leave without her! Great job to the Petsmart 290 team!